the thrill of it all - moments of joy in the wedding chaos: need great wedding songs? 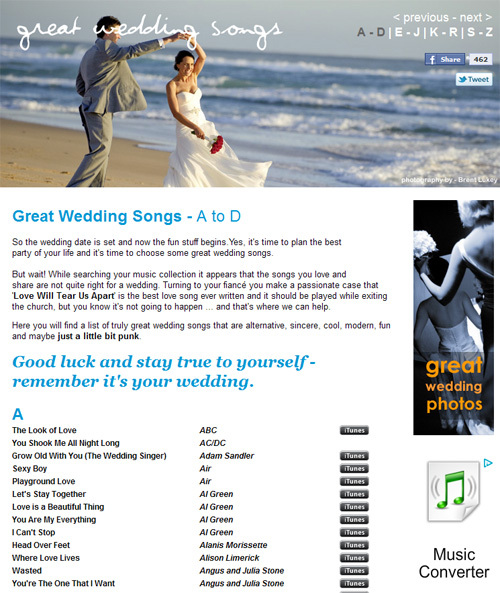 It's been a long time coming but my wedding songs web site www.greatweddingsongs.net has finally been re-designed. The site is a Celine-Dion-free-zone and offers a massive selection of songs that are far more interesting than the usual wedding guff. Check it out!